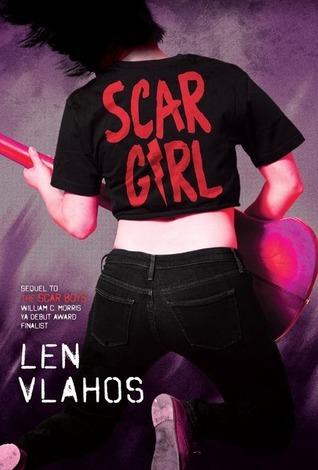 Thank you to NetGalley and Lerner Publishing Group and Carolrhoda Lab for the ARC, Scar Girl by Len Vlahos. If you loved Scar Boys, you will love the band’s success while you will be tremendously saddened by the band’s secrets and those effects on each member. Vlahos does another stellar job of crafting a band story that is so much more than that- the energy created from their music vibrates and reaches deep into our souls as Johnny, Harry, and Chey struggle with problems they choose not to share with one another. All the while they are attaining monumental success as a band. What will happen to the Scar Boys? What will happen to each member of the band? This sequel crushed me to my core and I vote for another book, Scar Boys Rule! Highly recommended! Sign into Goodreads to see if any of your friends have read Scar Girl.